Netanyahu relaxes the blockade on Hamas-run Gaza, earns criticism. Prime Minister Binyamin Netanyahu announced Sunday night that Israel would change its policy regarding the blockade on Hamas-run Gaza. Instead of allowing only those items on a limited list of permitted goods to enter Gaza through Israeli crossings, Israel will now allow all items but those on a limited list of forbidden goods to enter, he said. Israel's list of permitted goods included humanitarian aid such as food and medicine. The new list of forbidden goods is to include weapons, materials used to make weapons, and goods that can be used either for civilian or terrorist purposes. Among the “problematic materials” in the latter category are certain construction supplies, which will be allowed into Gaza via Israel only for use in projects with international supervision. The naval blockade of Gaza will continue, as will Israel's policy toward Hamas, Netanyahu's office said. A statement called on the world to “stand firm and fulfill its conditions in connection to Hamas.” Hamas kidnapped Israeli soldier Gilad Shalit four years ago, the statement noted. “The international community should join Israel in condemning his captors,” it said. 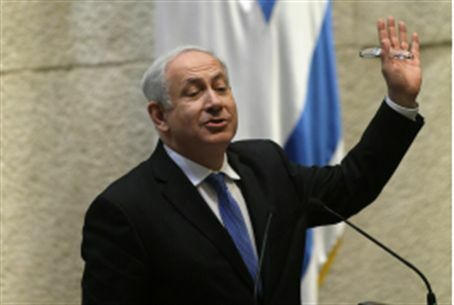 The change in policy earned Netanyahu harsh criticism from the opposition. “Zoabi beat Netanyahu,” said MK Michael Ben-Ari, (National Union) referring to MK Hanin Zouabi of the Balad party, who took part in a foreign flotilla aimed at breaking the IDF blockade on Hamas. Criticism came not only from the nationalist camp, but from other opposition parties as well. “Now it's official – Netanyahu is an impressionable and weak prime minister,” said Kadima representative Yoel Hasson. "Netanyahu is giving a dangerous message, that terrorism pays,” he added.